The fifth and final major (are we sure?) is upon us. The all-in approach by Evian eventually eroded the buttressed opposition of the LPGA and has become a reality. The Evian Championship has been born. 120 players, 3.25 million US and entry into golf history awaits. Bonne chance to all except you know who. Or do you? Some loopers arrived early to take-in the sights which is validated by this photographic evidence. 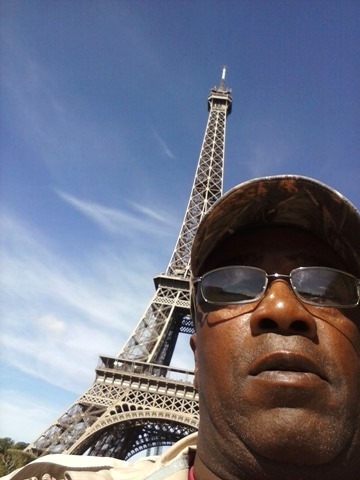 Will Paris ever be the same? 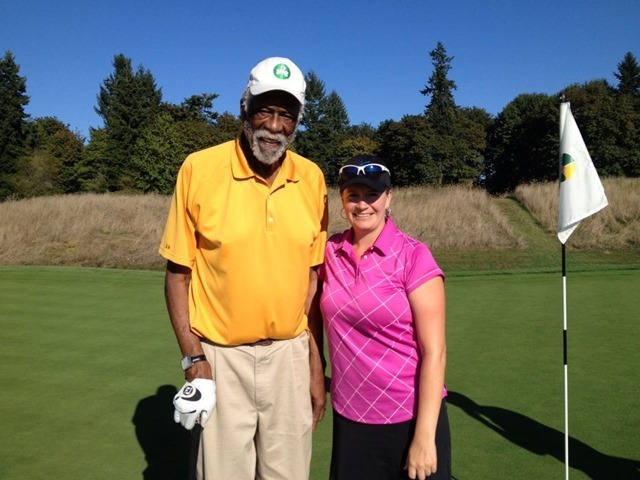 Not to be outdone, how about this pic of Allison Hanna and basketball legend Bill Russell. Not in Paris though. This entry was posted on Monday, September 9th, 2013 at 4:50 pm and is filed under Uncategorized. You can follow any responses to this entry through the RSS 2.0 feed. You can leave a response, or trackback from your own site. 2 Responses to Parlez Vous Francais? You are the Man Country Club!